A black rubber roof flashing to metal roof decks or corrugated sheets. 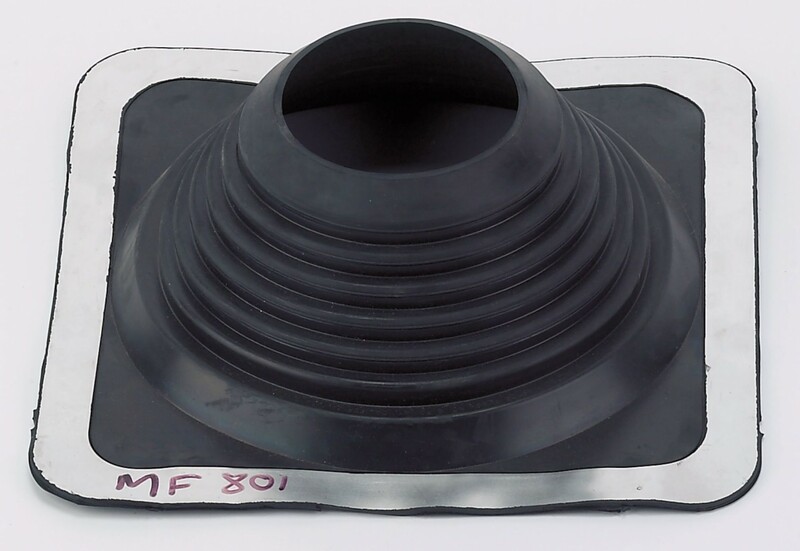 Mould the base into the roof shape, seal with silicone and self tap or tec screw to base of metal roof. The diameter can be adjusted on the rubber collar to suit pipe diameters between 100 and 180mm. Can withstand temperatures of up to 100 Deg c.